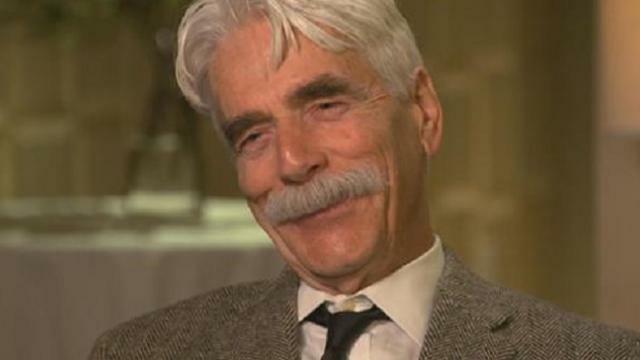 Sam Elliott has had one hell of a year, good and bad. He still can’t quite process his Oscar nomination, for Best Supporting Actor in “A Star Is Born”; or, nearly losing his family’s home during the California wildfire in November that burned nearly 100,000 acres in Malibu. “We went through the fire in Malibu, came right over the top of us, and we stayed and poured the water on and watched the house behind us burn to the ground, and we made it through,” he said. The irony here is that since 2008, Elliott has been the voice of Smokey Bear. Smokey Bear isn’t necessarily what you think of first at the mention of Sam Elliott; it’s the voice, and the mustache, and the rugged, upright characters he’s been playing for decades on television and in more than 50 movies. But let’s start with the voice. Bradley Cooper copied it in “A Star Is Born.” Elliott played Cooper’s brother in the film. But guess what: Elliott got work, frequently in westerns. Of course, the mustache didn’t hurt. After “Lebowski,” instead of resisting typecasting, Elliott embraced what his “inner cowboy” stands for. Happily married for more than 30 years to actress Katharine Ross, the father of a 34-year old daughter, Cleo, he’s just as self-deprecating about the attention he’s getting this awards season. Except, that guy Sam Elliott’s been playing all those years has gotten wiser and deeper and become a star along the way.